Chinaplas 2017, which takes place on 16 – 19 May in Guangzhou, China, will offer a special focus on the medical plastics sector. The last event welcomed 148,575 visitors, among which 39,454 were overseas visitors from over 160 countries and regions. 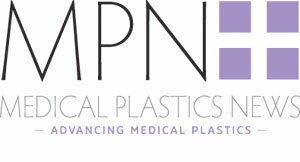 This years’ event will showcase plastics and 3D printing for the medical industry. Certain modified plastics offer excellent biocompatibility and help drive the medical industry’s rapid development. At Chinaplas 2017, suppliers of healthcare materials such as silicone rubber, bio-safe resins and new polymers that offer strong resistance to gamma rays will all be on show. As the medical industry also has been an enthusiastic adopter of 3D printing and wearable technology, the event will launch a 3D Technology Subzone offering the latest in additive manufacturing technologies, equipment, and materials. It is a must-see zone for experts from the medical and other industries.